Shopping in the future is going to be amazing. From virtual reality to universal checkout or delivery via drone, the future of shopping has the possibility to offer consumers amazing, mind-blowing experiences that help enhance their ability to find a little black dress that looks perfect for that upcoming event. As Forbes said so eloquently in a recent article, "Tech innovations and a hyper-connected world have significantly influenced consumer behaviors and expectations. As a result, retailers are faced with a scary reality: change of become obsolete." The good news, according to the same article, is that "apparel retailers are light years ahead of the curve when it comes to who is more successfully building a new retail model that addresses these new consumer demands." As part of the POPSUGAR Future of Retail Experiences study, we asked women to put on their thinking caps and help brands evolve by sharing the shopping experiences that they believe will become an everyday reality in the next five years and which experience they feel is most important to them personally. According to millennial women, the shopping experiences that they believe will become an everyday reality in the next five years include purchasing apparel via a smart TV or connected device (35%), same-day delivery becoming the "norm" (33%), the ability to buy directly on social media platforms (32%), and shopping via smartphones becoming the default way to shop (32%). 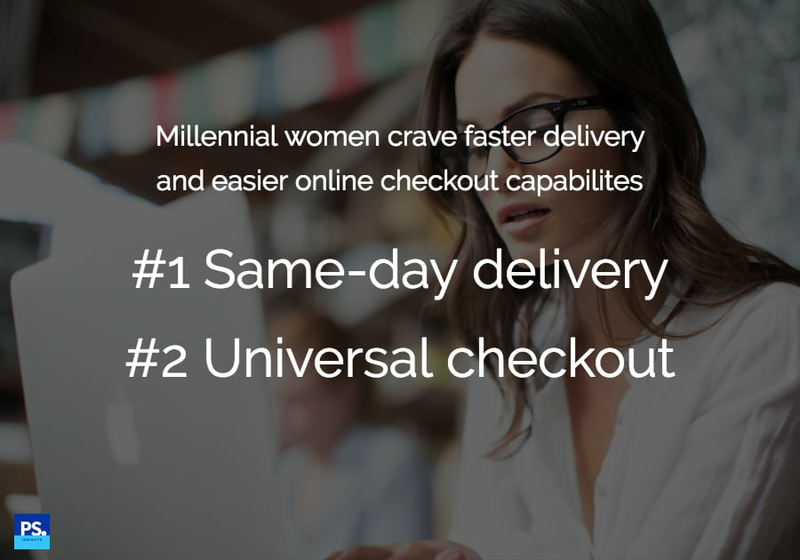 Thirty percent of millennial women feel that having universal checkout, the ability to use a website or mobile app to purchase products from multiple stores at the same time using a single checkout, will become a reality in five years. Some of the more truly futuristic responses included delivery via drone becoming a reality (29%) and the use of body scanners to customize apparel products for women (25%). In terms of the future shopping experiences that millennial women feel are most important to them, same-day delivery and universal checkout topped the list, followed by shopping via smartphone as the default way to shop.